Vol. III, No. 1 Contains an immense number and variety of official publications, rituals, treatises, etc. 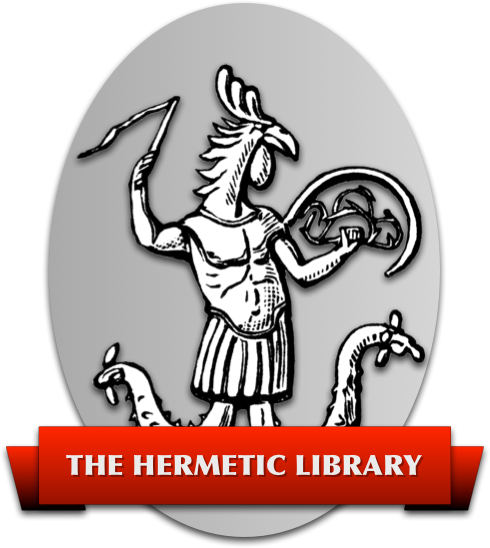 Also special Supplements such as The Vision and the Voice; translation of Eliphas Lévi's The Key of the Mysteries; Sepher Sephiroth; H. P. Blavatsky's The Voice of the Silence, with a Commentary by Fr. O.M., etc., etc. There have been various reprints of the Equinox serial since the 1970s. The most important magical writings from vol. I and vol. III no. 1 appear in the compilation Gems from the Equinox, published by New Falcon. The whole of Equionx vol. I and III (1) can be found online at here. Vol. III, 3 The Equinox of the Gods Reprinted by New Falcon, and as part of the “Blue Brick” edition of Magick. As Crowley notes in Chapter 81 of MWT, this is part IV of Book 4, and can be found here. Vol. III, 4 Eight Lectures on Yoga—the deepest book written on the subject of Yoga. Reprint by New Falcon available, and can be found online here. Vol. III, 5 The Book of Thoth—a masterpiece on the Egyptian Tarot, with Appendices, and designs with an entirely new pack of Tarot cards, executed by Frieda Harris. Reprint by Samuel Weiser available, and can be found here. Vol. III, 6 LIBER ALEPH—The Book of Wisdom or Folly. This book contains some of the deepest secrets of initiation, with a clear solution of many cosmic and ethical problems. First published 1961; reprinted by Weiser in 1991, and can be found here. GOETIA, The The most intelligible of the mediæval (sic) rituals of Evocation. Contains also the favourite Invocation of the Master Therion. Republished as facsimile of first edition London: Equinox, 1976 and Thame: First Impressions, 1992. Re-set reprint Weiser, 1995. Note that the “favourite Invocation of the Master Therion” is not part of the original Goetia which is a 17th century Grimoire, but a modern translation and adaptation of a Græco-Egyptian rite of exorcism. HEART OF THE MASTER, The A sublime Masterpiece, describing a vision given upon the Holy Hill of Sidi Bou Said. Has been reprinted in the 1970s by 93 Publishing, in the 1980s by Mandrake of Thame, and in the 1990s by New Falcon, and can be found here. KONX OM PAX Four invaluable treatises and a preface on mysticism and Magick. Reprinted Chicago: Teitan Press, 1990. Online here. LIBER ARARITA This book describes in magical language a very secret process of initiation. In Equinox III (9) (The Holy Books of Thelema). Online here. LIBER CORDIS CINCTI SERPENTE The Book of the Heart Girt with the Serpent: an account of the relations of the Aspirant with his Holy Guardian Angel. In Equinox III (1) and III (9) (The Holy Books of Thelema). Online here. LIBER 418—THE VISION AND THE VOICE First published in Equinox I (5). A new publication was issued subsequently with the full text, an Introduction, and extensive Commentary by The Master Therion. A new edition of the text and Crowley's commentary was included in Equinox IV (2). Liber 418 can be found here LIBER LEGIS—THE BOOK OF THE LAW This Book is the foundation of the New Aeon, and thus of the whole Work. In Equinox I (10), The Equinox of the Gods, Equinox III (9) (The Holy Books of Thelema) and other editions too numerous to list. Online here. LIBER VII—THE BOOK OF LAPIS LAZULI Gives in magical language an account of the initiation of a Master of the Temple. This is the only parallel, for beauty of ecstasy, to The Book of the Heart Girt with the Serpent. In Equinox III (9) (The Holy Books of Thelema). Online here. LIBER TRIGRAMMATON Describes the course of Creation under the figure of the interplay of Three Principles. The book corresponding to the Stanzas of Dzyan. In Equinox III (9) (The Holy Books of Thelema). Online here. LITTLE ESSAYS TOWARD TRUTH (Formerly called The Wine of the Graal). A collection of 17 Essays which constitute in themselves a complete system of initiation. Reprinted by New Falcon, or online here MAGICK IN THEORY AND PRACTICE A complete work on Magick, with Appendices, the more important columns from 777, etc. There have been various reprints; the most complete is that contained in Magick: Book 4 parts I-IV (Weiser, 1994, 1997). Magick in Theory and Practice, generally simply cited by Crowley as Magick, is part III of Book 4. All page citations in Magick Without Tears refer to the first edition; the 1994 and 1997 editions have these numbers in the margins, and can be found here. 777 A complete Dictionary of the correspondences of all magical elements. It is to the language of occultism what Webster is to the English language. An expanded edition with essays and explanatory notes by Crowley was issued in the 1950s and is currently available as part of 777 and other Qabalistic Writings (formerly called The Qabalah of Aleister Crowley), published by Weiser, and can be found online here. © Ordo Templi Orientis. Original key entry by W.E. Heidrick for O.T.O. HTML coding and additional bibliographical information by Frater T.S. for Nu Isis Working Group.